Moma Propaganda just send us the latest addition to their awesome series of retro future ads for Maximidia Seminars. This new ad is for Twitter and it will be running in Brazilian newspapers on Monday. 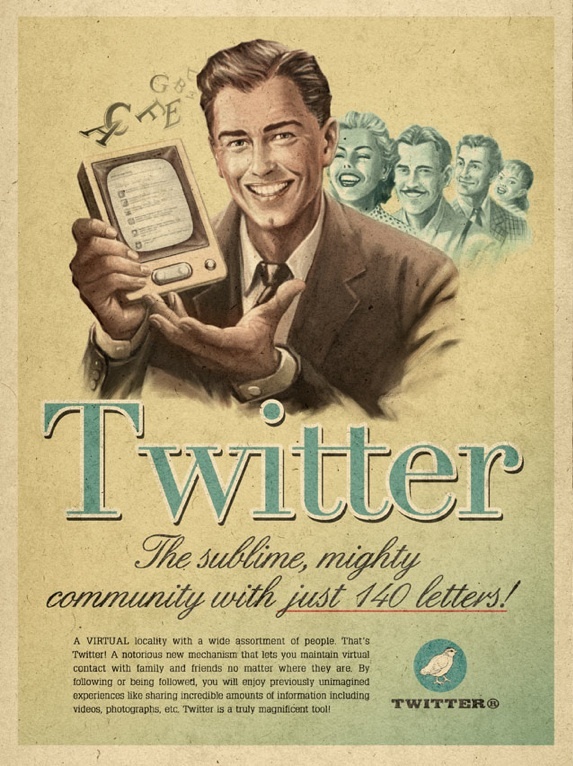 UPDATE: High resolution downloadable posters of the vintage ads are now available through Maximidia.